Early extension is a term heard a lot right now in golf instruction. But, what is it and how can we solve the issue? This Tip Of The Week explains and gives you early extension cures to improve that part of your game. Early extension is the movement of the hips and lower body over the toes and toward the ball during the downswing. In contrast, proper rotation keeps you balanced and in your posture. 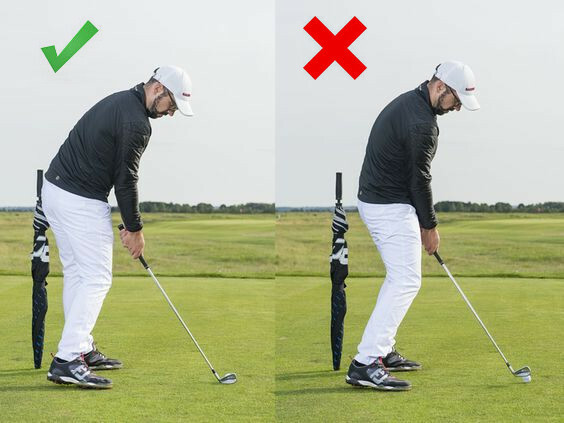 The player loses the angle in their hips as they start their downswing. Often, the shoulders slouch in order to still deliver the club to the ball. The other thing that happens is the hands raise the handle of the club in an effort to keep the club square, preventing a snap hook. This move results in a loss of consistency and power, especially under pressure. To spot this flaw, take a video of your swing and draw a perpendicular line from the ground that touches your rear in your setup posture. In a correct swing, this line will stay in contact with your rear. You may move away from the line slightly on your release, well after the ball is gone. If your rear leaves that line as soon as you start your downswing, you are suffering early extension. Now that you’ve identified the issue, how do you address it? One school of thought is that early extension is actually a reaction to taking the club back closed and not rotating on the backswing. In other words, at waist-height, the clubface points straight at the ground and at the top of the swing it points skyward. If the downswing is performed correctly, the clubface is dead shut at impact, resulting in a low, pull hook. Shifting the hips forward and raising the handle helps to deliver the club square at impact, producing a straight shot. The problem is this is very difficult to replicate on a consistent basis. Shots can be missed in all directions. Check your backswing first to make sure the club is rotating correctly and is square at the top of the backswing. 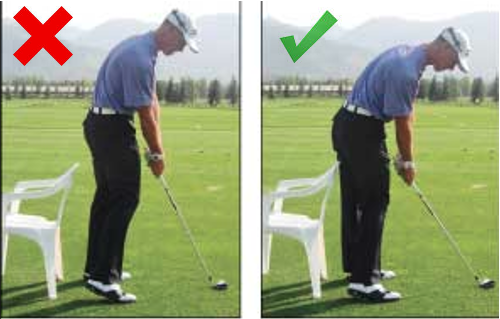 On the range, take an alignment stick or chair you can put behind you, touching your backside. Make backswings, feeling as if you are sitting down slightly with your right side (for right-handed golfers) on your backswing maintaining contact with the object. Slowly speed up your swing as you feel more comfortable. Finally, hit balls after removing the stick or chair. Building muscle memory like this helps you maintain your angles and keep your lower body centered over your feet. Your lower body won’t move toward the ball on the downswing. Please note: you may hit shots right until you get confident releasing the club on the downswing without hooking the ball. Patience is the name of the game for any improvements to your swing, especially early extension cures. Once your body feels what it’s like to make the proper rotation, your score will improve. 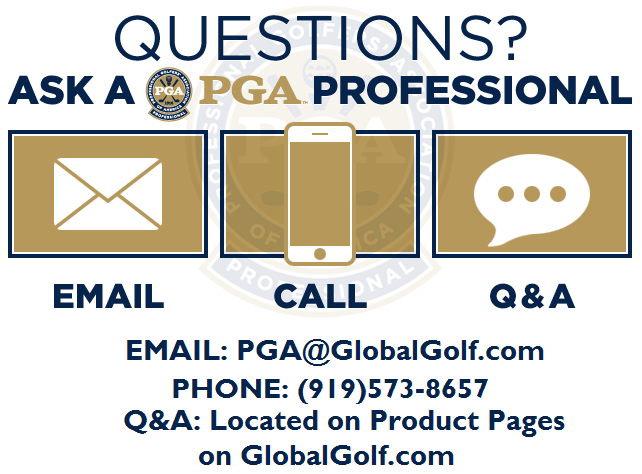 Looking for more tips from our Pros? ‹ What’s At The Core of TaylorMade M3 and M4 Irons?